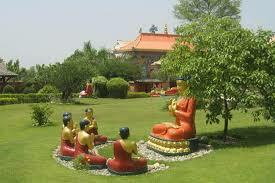 Gautama Buddha was born some 2500 years ago in Lumbini in the southern Nepal. 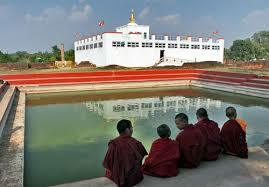 Lumbini is the holiest pilgrimage site for all the Buddhists from all over the world. 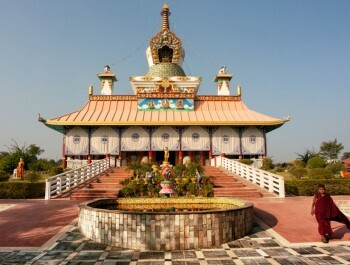 Lumbini today houses the pond where Buddha was bathed after he was born and a temple which has images of child Buddha with his mother. 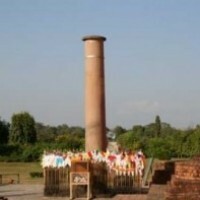 There is also a Stone pillar named Asoka pillar which is one of such many pillars put by the famous Indian emperor Asoka to mark the important sites related to Buddha's life history. 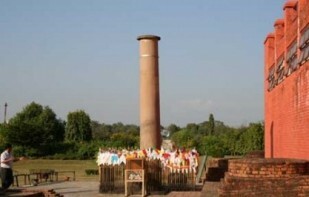 Recently an excavation was made in Lumbini during which archeologist discovered more objects of historical importance which are now displayed for all. Besides this there are many stupas in Lumbini built by the support of Buddhist countries like Thailand, China, Sri Lanka, Japan and Myanmar. Nepal is a country of mixed culture and religions hence Buddhist monuments are found all over Nepal. 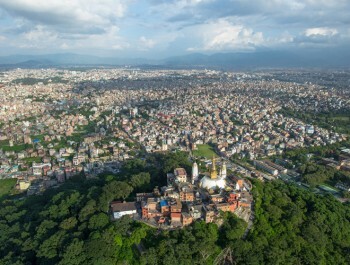 In Kathmandu valley we have 2000 years old impressive stupa of Swoyambhunath and world's biggest stupa at Boudhanath. The Boudhanath stupa is 1500 years old and is more popular among the many Tibetan refugees living in Kathmandu. 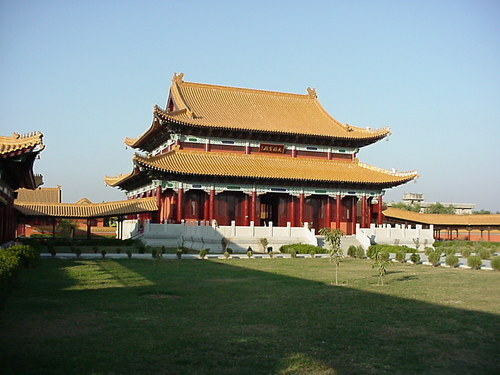 Each of these monasteries carries their own legendary stories and importance. 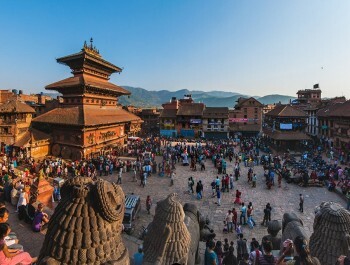 Inside the Kathmandu valley the city of Patan is dominantly Buddhists and offers places like Mahabouddha Temple and Hiranya Varna Mahavihar to pilgrims. On the outskirt of Kathmandu valley there in the hill lays the stupa of Namobuddha, small but old, active and highly revered. 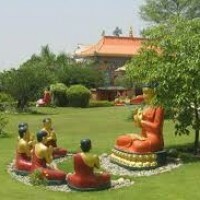 It is believed that Buddha himself visited the place and offered prayer prayed. It is believed that one day a prince on a jungle safari saw a hungry tigress and her 5 cubs the prince was so kind hearted that he offered his body to a hungry tigress and her 5 cubs and took re birth as Gautama Buddha. 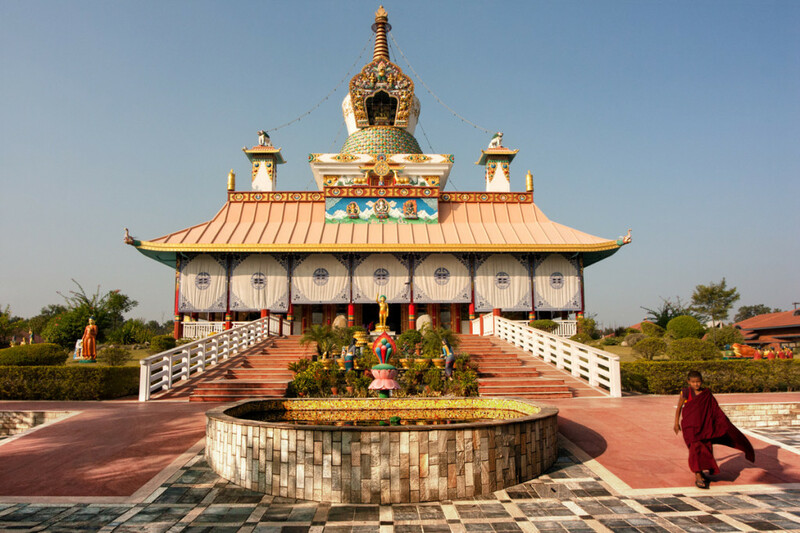 This tour will take you to these Buddhist sites and also too few more while travelling inside the city .We will also take you to the peaceful and beautiful lake city of Pokhara. In Pokhara you can see the incredible view of the Himalayas massif, visit the world peace stupa and go for boating in Phewa Lake. Finally after this long trip to all those peaceful places you will have free time to shop a great number of Buddhist objects which you may not find in your home country. We believe that our Buddhist Pilgrimage Tour in Nepal will bring peace of mind and give you soul satisfaction. Day 02:Sightseeing tour of Swoyambhunath stupa and Patan Durbar square. In Patan we show you Hiranya Varna Mahavihar, Mahabouddha temple and other Buddhist sites. Day 03:Visit Boudhanath stupa and stay overnight in Dhulikhel. Day 04:Hike or drive to Namobuddha stupa, overnight in Kathmandu hotel. 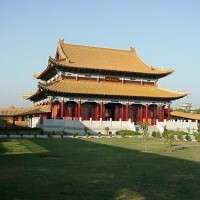 Day 05:Fly to Lumbini, birth place of Buddha. 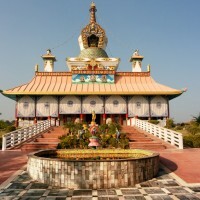 Visit Lumbini garden, Mayadevi temple, and other archeological sites. Day 07:Relax and enjoy the serenity of beautiful lake city of Pokhara. 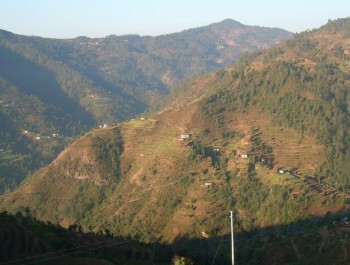 In the morning, visit Sarankot one of the best mountain view point, boating in the lake in the afternoon and enjoy little hike to World Peace Stupa. Day 08:Fly to Kathmandu. Free time for walking around and shopping, especially Buddhist religious objects of Nepal and Tibet which you may not get in your home town. sightseeing in Kathmandu Valley with tour guide.